Kate’s love of travel began early in life with parents that valued travel. She credits her dad, Don Millican, with setting a good example in fostering her love of exploration, “Plan your travel a year in advance. Otherwise it’s too easy to put it off.” Kate took advantage of as many study abroad programs in college as she could and thought she’d be a missionary someday but God had other plans for Kate. For the past 16 1/2 years, Kate has been working as a travel advisor. It started out as a way to get her husband Luke through school and then she realized how much she loved it. The greatest downside is that she is constantly bombarded with new places she wants to visit as she helps her clients. Kate got involved helping Great Cities Missions navigate travel to South America about 12 years ago. Her knowledge and insight into current travel operations worldwide gives GCM peace of mind that we are making good travel decisions regarding time and money. She makes herself available 24 hours a day and no trip is too small or too big. It’s especially helpful for directors booking travel for a large group, like the GCM Connections Renewal Retreat, with travelers originating from multiple airports across the US. And it’s no wonder that Kate understands the travel needs of the Connections Team so well. She has served as a Women’s English Connection Team Member five times, serving in multiple roles such as Travel Coordinator, Group Facilitator, and Renewal Photographer. Perhaps her role of photographer is an easy one for her because it is an extension of her love of travel. Capturing a memory. Documenting our “beautiful world.” She says that she loves capturing “photos of women to give back to them. To capture the women’s faces as they come off the bus” hungry for the Renewal Retreat that lies ahead of them. Kate shared some of her best travel tips. Who is ready to say Yes to travel? Listen to your kid’s comments. Put travel on your calendar. If you don’t plan for it you’ll hardly ever get around to taking the time off and going somewhere. Take the vacation time your job gives you- it’s part of your employment package, so you only short change yourself when you don’t take it. Say yes! Put in on the calendar. Make it happen. Work, Save, Travel, Repeat. 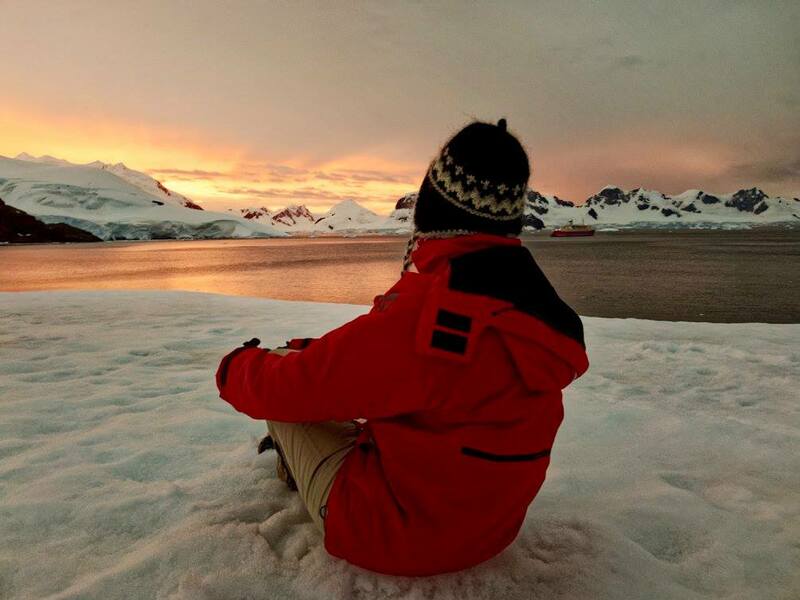 Be an explorer wherever you are. Be ok to not have the money to travel big; travel small. Save money until you can travel big. Don’t be afraid to travel. Go! It’s always worth it. There will always be reasons to not go. Go anyway! For over 40 years, Great Cities Missions has had a healthy, thriving relationship with Central Church of Christ in Amarillo, Texas. They are the reason we can do what we love, Share Christ with the Latin World, because their passion for this work existed long before we did. 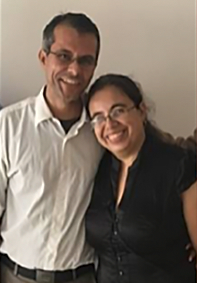 Believing their calling was to go beyond the walls of their church building, Central was key in supporting a missionary team who had a heart for planting a church in São Paulo, Brazil. In 1964, this team had a big ask for Central. They wanted to build a church but needed $250,000. Central took the lead in overseeing the funding and building campaign and the new church building was inaugurated four years later. Working with the missionary team, the church elders set in order a plan for the new church to be turned over to the Brazilian nationals who attended the church. This model of establishing a church to successfully turn over to the oversight of its own people would be adopted by Great Cities Missions as the end goal of every missionary team. In 1976, Ellis Long and the São Paulo team asked Central to be a co-sponsor of a full-time recruiting effort. And the rest is history. Dr. Gary Sorrells says this of Central in his book Make Your Vision Go Viral, “It was cutting-edge willingness on the part of the Amarillo Central church to organize GCM in January 1993 as a 501(c)3 entity with a national board of trustees. Their foresight in overseeing the ministry through a board of trustees has allowed the ministry to grow beyond the resources of the Amarillo church.” Today, six of the twenty-two board members are members of Central. The board continues to have a far-reaching presence with two trustees calling South America home. When you support Great Cities Missions, you can be sure that you are supporting a work with exceptional oversight from its supporting church, Central Church of Christ, and its board of trustees. We are thankful for the many ways that Central inspires us to be more like Jesus and to find creative ways to go beyond our walls and share Him with our friends in the Latin World. Make Your Vision Go Viral Taking Christ to Great Cities – A Proven 5-Step Plan That Really Works by Dr. Gary Sorrells can be purchased through Great Cities Missions for $10. 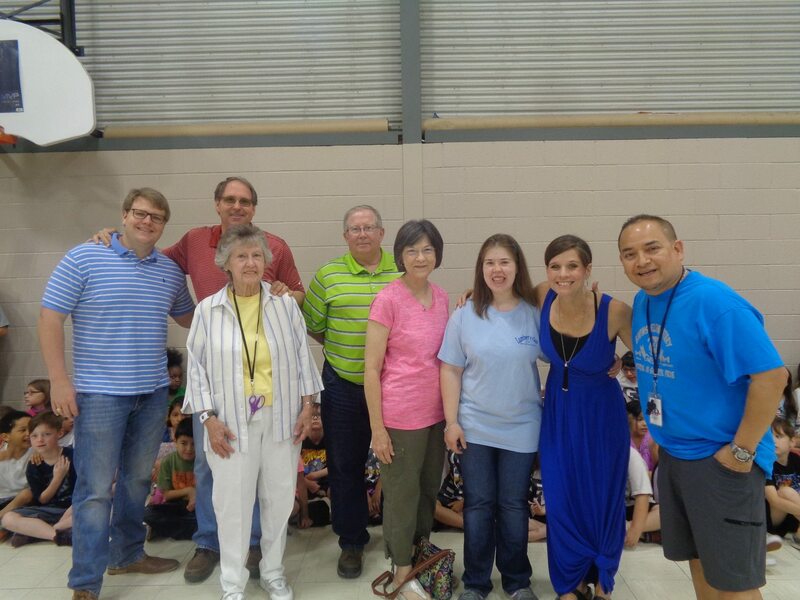 This photo of Central Church of Christ volunteers at Bivins Elementary represents the many Central volunteers who help with programs like Snack Pak 4 Kids, the Bivins Bucks Store, the Crossing Guard program, cafeteria volunteers, and playground buddies volunteers. Central also provides school supplies and hosts a big Back To School dinner and party on the school campus every August to coincide with school registration as well as host teacher breakfasts for the beginning of school each fall. This year they plan to offer Financial Peace University and parenting classes in cooperation with Bivins Elementary. “The church in Brazil needs to think big, understand the worldwide mission that God has given us.” That is Joao Victor’s dream for the future of the church plant in Boa Vista, Brazil. Joao (25) is part of a six person, Brazilian national team who will spend the next two years preparing for the missionary field while living in Campo Grande. The target date for the team to arrive in Boa Vista is January 2021. Bryan Gibbs, GCM Director of Church Development, recently sat down with Joao to talk to him about his dreams for Boa Vista. Joao, raised in a Christian home Bauru, Brazil and baptized when he as 17 years old, realized as a young man that to be a truly effective leader he would need additional training. 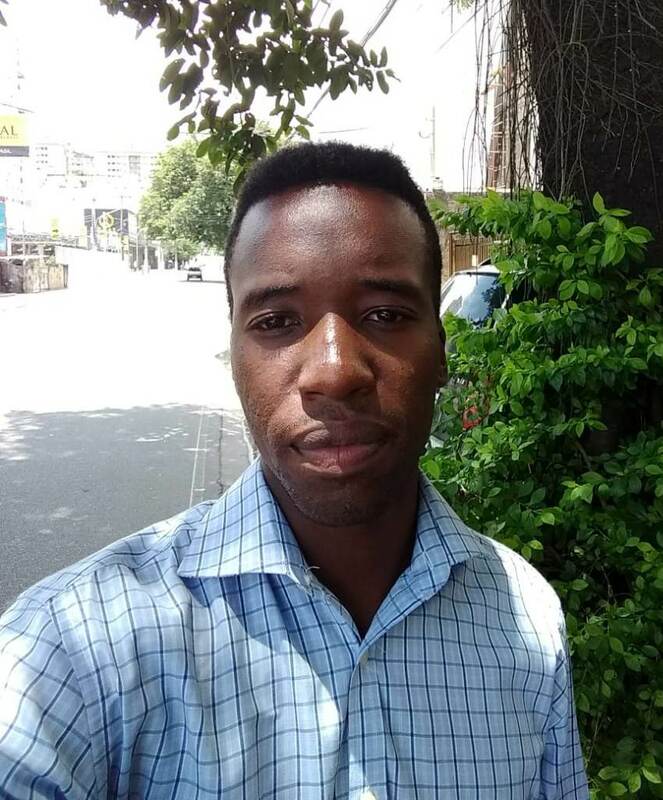 He decided that SerCris Christian Training School in Campo Grande was the best place to prepare himself for future ministry. After completing his studies in Theology at SerCris, he decided to pursue a bachelor’s degree in Marketing, and has recently completed that goal as well. GCM is thankful to have a team of dedicated specialists in the field of missionary church planters who will pour into future missionaries willing to share Jesus in Latin America. Specialists like Becky Holton, a licensed therapist and GCM Director of Missionary Care, Scott Reynolds, former Brazilian missionary and GCM Associate Director, and Bryan Gibbs, also a former missionary to Brazil and GCM Director of Church Development. When you donate to Great Cities Missions, you are supporting people like Becky, Scott, and Bryan who are the heart of our ministry. You are supporting new church planting teams like the Boa Vista Team. And you are supporting future missionaries like Joao. Check back often for updates about this team’s exciting journey. The first time I visited our newest church plant in Cúcuta, Colombia, I met a couple named Frey and Ingrid. Frey and Ingrid are both professionals and had been living in Cúcuta for about 6 months. They discovered the church while walking by one day when members of the Cúcuta mission team were handing out food on the street. That started a relationship with the missionaries that eventually led to their baptisms and new lives in Christ. Fred and Ingrid both lost their jobs as the economy in Venezuela began to deteriorate. Their biggest struggle after losing their jobs was finding enough food to eat. They said they would wait in line for hours and be told that there was no food left to purchase. Other times they would be in line and people would approach them with weapons and force them to give them their place in line. The final straw was the day they didn’t have any food left in the house and Frey decided to go to the food court at the mall to find some. He did not have any money so he would wait to see if people had any leftover food on their plates that they didn’t throw away. Finally a person left a portion of their soup on the table and Frey was able to take that home to his wife. He told me that they ate a little bit of the soup each day and made it last for 3 days. Our group from the US heard their heartbreaking story and were brought to tears thinking about the abundance of food that we would have upon our return home. Earlier this year, I returned to Cúcuta where I encountered Frey and Ingrid again. This time I was able to serve with them as we prepared the church for their 1st anniversary service. We painted the building together, prepared bags of food and medicine for the Venezuelan relief aid effort, the next morning Frey and I both participated in the worship service, and Ingrid helped teach the children. Both of them looked healthy and happy and found different ways to share God’s blessings they had received not too long before. At Great Cities, our mission is to Share the Good News of Jesus Christ with the Latin World. Frey and Ingrid’s story is just one example of why we do it. When people experience the love of God, their lives are transformed, their communities are transformed and their cities are transformed. We cannot do it without your help. We need your prayers. We need your support. And we need your financial gifts. Please make a year-end donation to Great Cities this year. You are making an eternal difference.